London architect Pernilla Ohrstedt and Los Angeles designer Jonathan Olivares have collaborated on a new workplace furnishings showroom for furnishings brand Vitra . 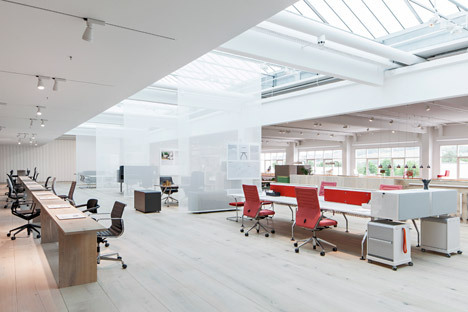 The Vitra Workspace occupies 1,700 square metres on the renovated 2nd floor of Frank Gehry’s 1989 manufacturing hall at the Vitra Campus at Weil am Rhein in Germany. 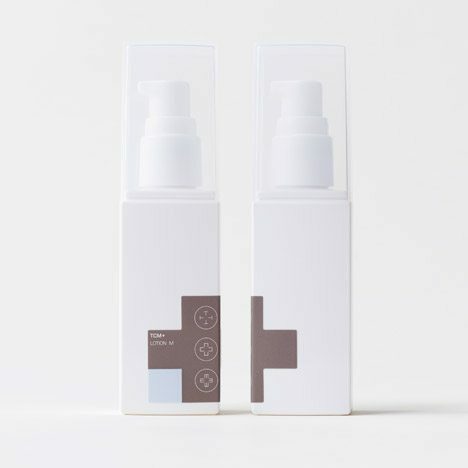 Ohrstedt and Olivares worked with each other to renovate the room, producing a new location focused to presenting the brand’s workplace furnishings. 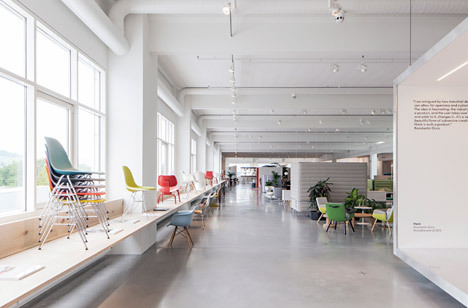 “Vitra didn’t have a dedicated workplace furniture showroom [on the campus] just before this,” explained Ohrstedt, who is also working on the new Dezeen workplace in Hoxton. The staff eliminated the present partitions to produce an expansive area, divided into two by a alter in floor level and finish. “There have been loads of old offices, showrooms, altering rooms, and so forth, so we started by fully opening up the space,” said Ohrstedt, whose projects assortment from a catwalk covered in real grass to the exhibition layout for last year’s Dezeen and MINI Frontiers exhibition. Polished concrete runs down the extended row of large windows, whilst wide oak planks cover the slightly raised section even more away from the glazing. In the concrete zone, the informal office furnishings on demonstrate involves the colourful lounge chairs by Hella Jongerius – first produced for the UN North Delegate’s Lounge that the Dutch designer renovated with Rem Koolhaas in 2013. 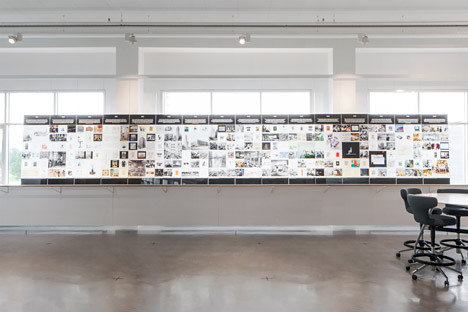 Other Vitra products – such as chair editions by Modernist designers Charles and Ray Eames, and Jean Prouvé – are presented on a thirty-metre-lengthy bench along the row of windows. Up two measures, the wood-floored area is laid out as a a lot more formal workspace. Stations are divided by translucent fabric sheets that hang from the ceiling beams, below a roof light with a triangular profile. 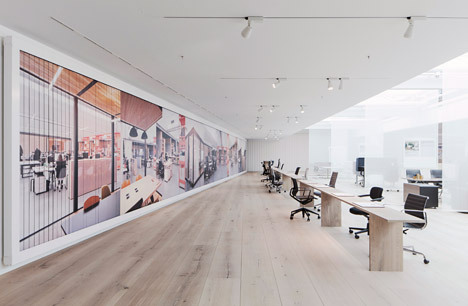 At the back of the space, an angled tri-vision billboard wall is covered with rotating images of offices. 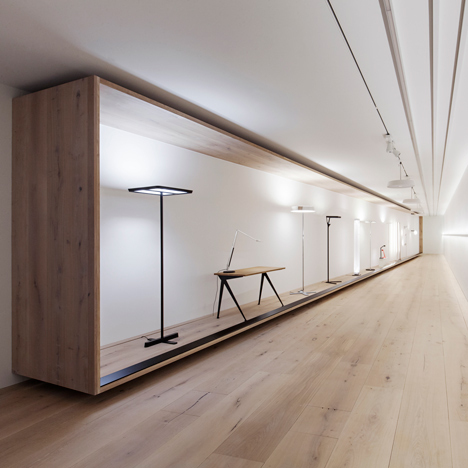 The wall conceals a corridor where more furniture and lighting merchandise are presented in a wooden case that runs the length of the partition. In front of the billboard, a 25-metre-extended oak table was additional to let visitors to check the chairs as they would use them in the workplace. An aluminium “trailer” at the entrance to the showroom is employed to show off the brand’s newest styles. 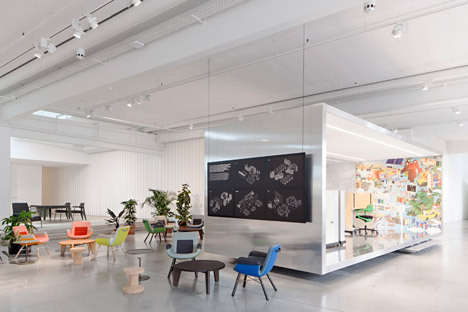 The Vitra Workspace was first unveiled this week to coincide with the Art Basel fair in close by Basel, along with a pop-up keep for shoe brand Camper by Diébédo Francis Kéré found inside the Buckminster Fuller dome on the campus. The Vitra Campus is an in depth manufacturing, warehousing and cultural facility containing an ever-expanding range of buildings by major architects, like Herzog &amp de Meuron’s Vitrahaus and Zaha Hadid’s Fire Station. The architectural variety on the Vitra Campus came about after a major fire in 1981 destroyed most of the original 1950s factory buildings. Since the blaze, some of the world’s most well-known architects, designers and artists have been commissioned to create buildings, pavilions and structures on the site – situated on the German side of the border shared with Switzerland and France. Latest additions include a viewing tower with a slide by Carsten Höller and a small wooden cabin by Renzo Piano. 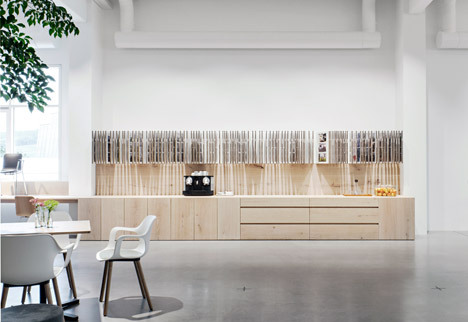 Swiss architect Aurélie Blanchard also recently revamped a canteen in the identical developing as the Vitra Workspace.